Born of a promised backyard haircut in 2009, Shannon and Alex have been bartering skills and borrowing instruments since their languid college days in Davis, CA. Together the spoken word poet and object manipulator have been tenderly prying open the soft spots of the Bay Area indie scene and inserting a toothsome rawness that only the scrappiness of young adulthood could culture. 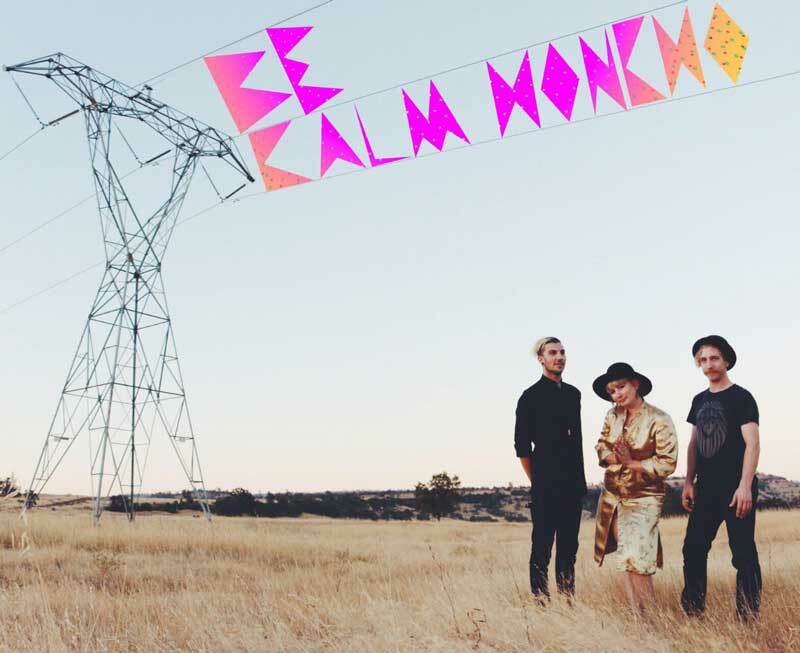 Nearly three years into the project, Be Calm Honcho mixes the warmth of West Coast pop with a heavy dose of jangly indie rock for a sound that’s nothing short of dark magic. Their debut album ‘Honcho Dreams’ [Crossbill Records/2014] ranges from aggressive to docile and proves these kids are just as ready to strike as they are to recoil. 2015 greased the touring wagon properly and after nearly one hundred shows, the trio is digging into 2016 with a bunch of cool new outfits and polarizing opinions to propagate with East Bay label OIM Records. Heads up for their lucid San Francisco pop, sure to get your blood boiled and your brain fried.